If you are like me you probably like making things a little bit more interesting every once in a while by escaping your comfort zone in street photography. You can escape your comfort zone with 2 ways. You can either change technique, for example switch from shooting narrow to shooting wide, or you can change gear. One of the most fun experiences for me when I feel I want to try out “new” gear is to shoot street with legacy glass. I have 2 C/Y (Contax/Yashica) lenses that are amazing! They produce lovely images and they are as good as new. If you log on to eBay you can find so many high quality lenses in great condition that you can purchase for very reasonable prices. 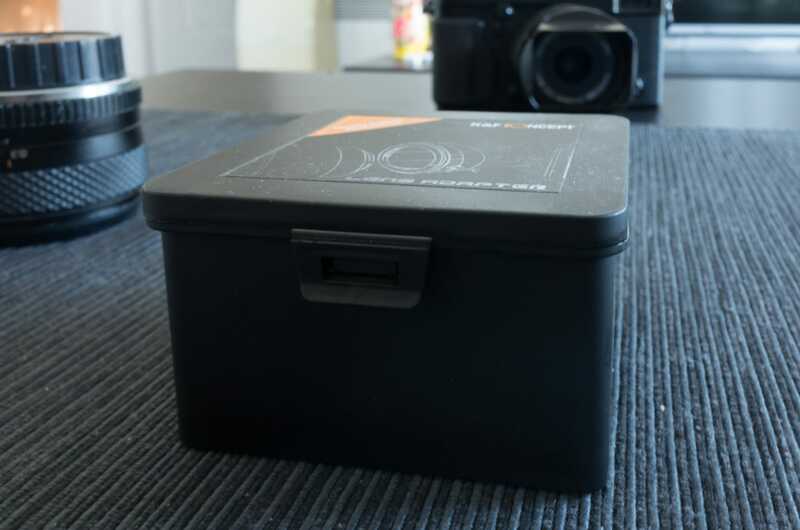 Of course you need an adapter to use them with your modern mirrorless cameras. There are many adapters to choose from, from really cheap ones to really expensive ones. 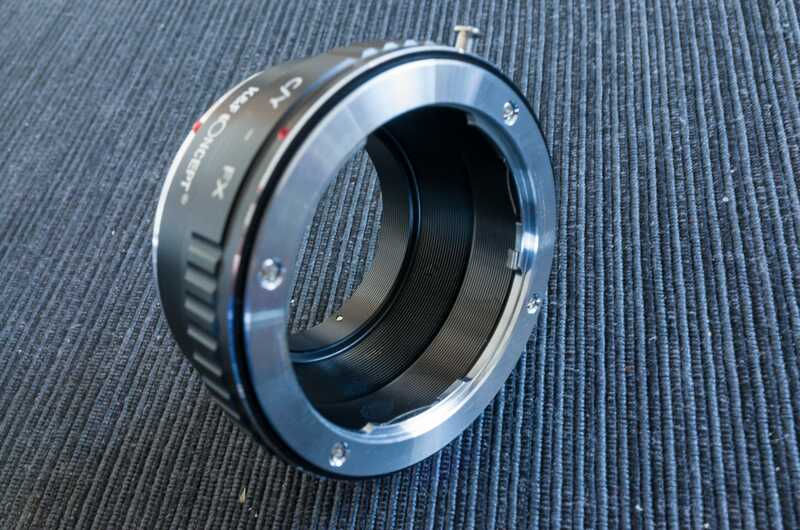 Today we are going to review the K&F Concept lens adapter that is in the mid to low cost range. We will be looking at the K&F C/Y to FX lens adapter also know as the Contax Yashica Lenses to Fuji X Camera Mount Adapter. Before I start the review, I would like you to keep in mind that because this is a lens adapter for a specific setup, it doesn’t mean that a similar adapter from the same company is any different in quality. I doubt for example that the K&F M42 Lenses to Fuji X Camera Mount Adapter or K&F Pentax K Lenses to Sony NEX E Mount Camera Adapter are any worse or any better. So, I will try and review the adapter from a more general point of view if possible. Before I start I would like to repeat what we always say, which is that this review is from a completely personal point of view. Neither myself nor any of the other Streethunters.net Editors are a camera expert. We are not pro camera gurus or have any affiliation with any particular camera or camera accessory brand. All gear that we have reviewed we have used extensively in the streets. 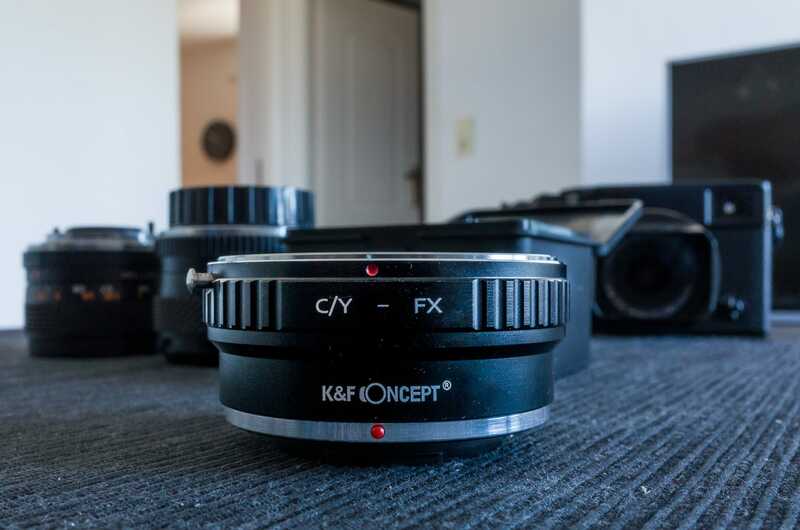 In this post you will be reading my personal opinion about the K&F C/Y to FX lens adapter, so if you are interested read on. I would like to mention that if you feel that there is something I have missed during this post, something that you would have liked me to include, please feel free to make your suggestions in the comments at the bottom of the page. During this review I will discuss the lens adapter’s build quality, handling, features, and value. When holding this lens adapter in my hands I feel like I am holding a very good quality product. This brass and aluminum construction is solid, feels durable, the release button works like a charm and it has a nice finish and good quality print on it. When sliding into place on the camera it makes a nice smooth click and doesn’t feel like it is damaging the bayonet x-mount like other cheaper adapters do. The same goes for the lens bayonet. It fits like a glove. The only reason I am giving it a nine and not a ten is because I have handled better quality lens adapters that belong to a much higher price range. So for its value, this adapter has amazing build quality. As I mentioned in the previous paragraph, this lens adapter works like a charm. It slides on the camera with a smooth and soft click, locks into place firmly and doesn’t move at the slightest. K&F Concept recommends that “For heavy medium format lenses, we suggest to use with a telephoto bracket and a tripod to balance its weight when shoot”. 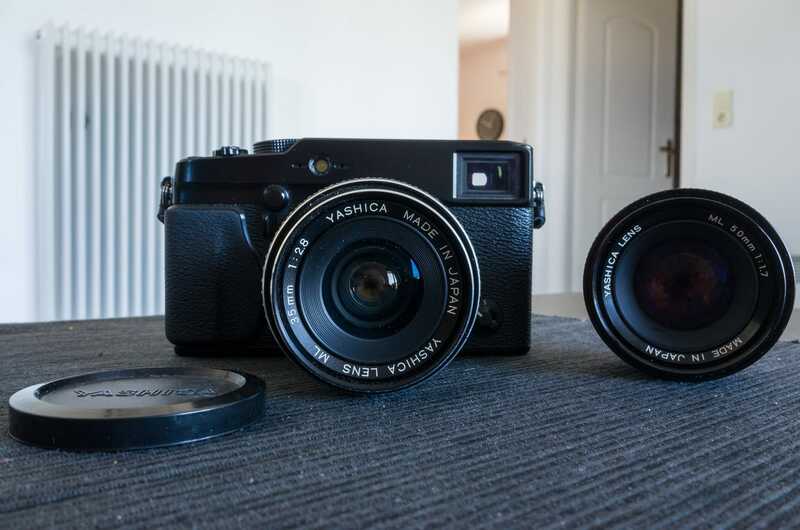 I don’t own a telephoto lens, but with both the Yashica ML 35mm 2.8 and the Yashica ML 50mm 1.7 it felt as solid as using a native lens on my Fujifilm X-Pro1. Releasing the lens adapter from my camera body was equally satisfying. I really can’t find anything wrong with how this product handles. You might be wondering what kind of features a lens adapter might possibly have, but you would be surprised with what some of these pieces of kit can do. However this K&F adapter doesn’t do very much. It offers basic functionality such as allowance of infinity focus which is a must as far as I am concerned and works precisely. Also worth mentioning is the fact that the adapter has a little tab that forces the lens to always have the aperture stopped down in correspondence to its setting (rather than on SLRs where the lens is always wide open until you click the shutter). Other than that it doesn’t contain any optics to reduce the lens’s focal length, a.k.a. speed boosters, it doesn’t allow electronic lenses to be controlled via the camera so you can change your lens aperture, it doesn’t have image stabilisation tech, etc. 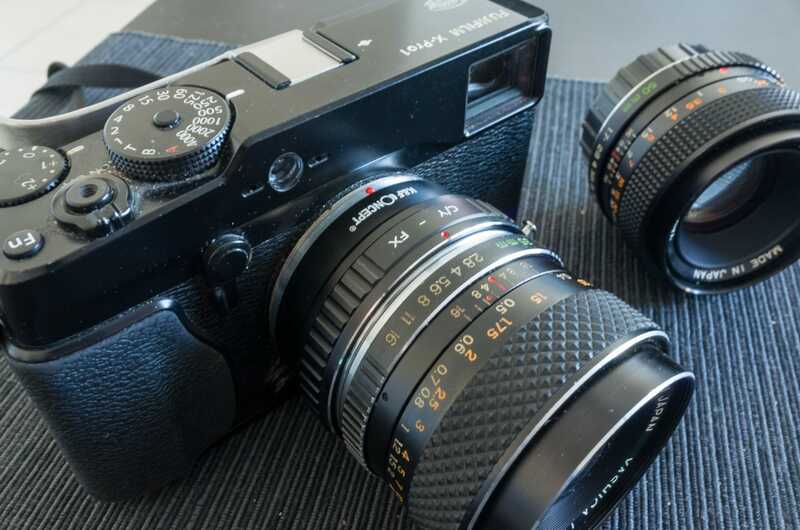 However, if you are a lover of the full manual photography experience, you will not miss any of those things and you will just embrace what this lens has to offer and have the time of your life shooting with your old glass! This is the best part! Most K&F Concept lens adapters including the one I am reviewing here today are offered at a great price. No astronomical three digit costs here. The one I got costs €20! What an amazing value for money! With that small amount of money you get a really great quality little adapter that is so much fun to use. How can I not give it a 10 for value? 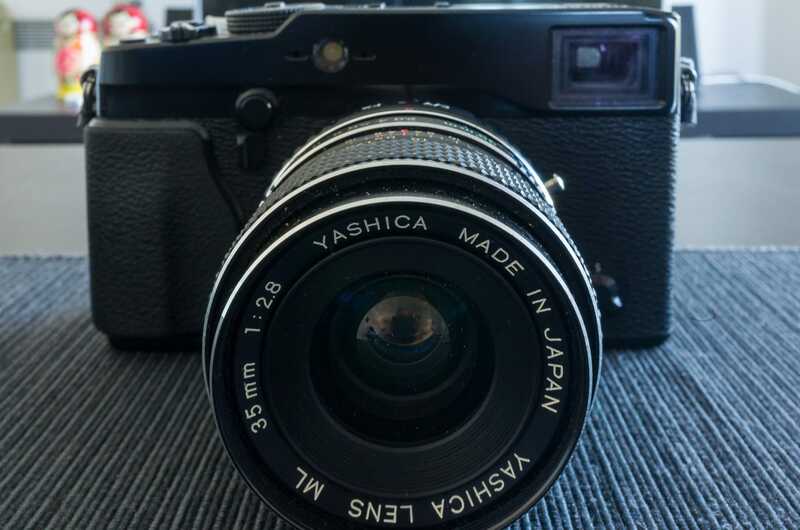 The K&F Concept Contax Yashica Lenses to Fuji X Camera Mount Adapter is a great product for its value. I totally recommend you give it a try if you have any old legacy glass lying about collecting dust. It is ideal for the street photographer that is just now beginning to dive into shooting manually with legacy glass, because you can try your old lenses out without investing large amounts of money into something that you might find out later isn’t your thing. You don’t have to worry about the adapter damaging your lenses or your camera mount because it is really good quality and if the worst comes to the worst and you realise in the end that shooting with legacy glass isn’t your thing, you will have only have invested the equivalent of 3 pints of beer in this “experiment”. If you want to know more about the lens adapter, just ask me in the comments. Also, if you feel that I haven’t touched upon something that I should have, please let me know. If you want to check it out on the K&F Concept website just visit the lens adapter page. 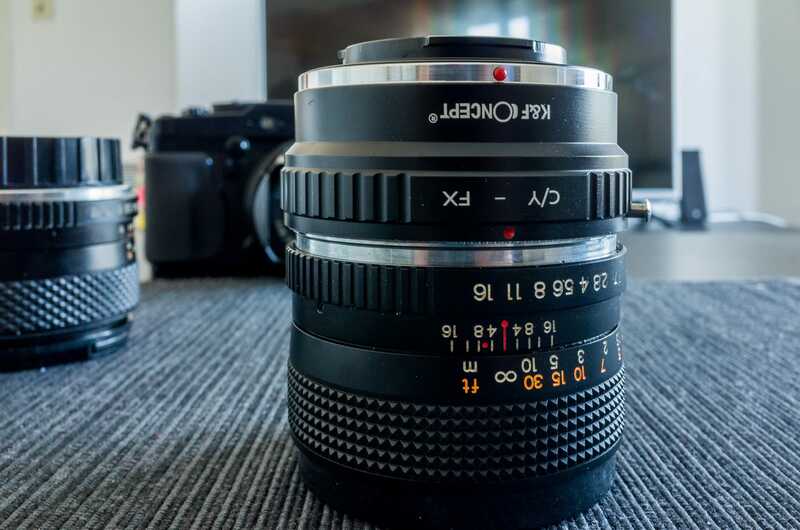 If you wish to try out shooting with legacy glass in combination with your modern mirroless camera, this is a great lens adapter to start with and you should definitely give it a try! Thanks. This is exactly the review I was looking for as I’m considering buying this adapter. After reading your post, I will certainly buy it! Thank you for reading. I am happy you found the review useful. Please let me know what you think of the adapter once you get it.